Inside Pakistan: What Should Pakistan Do After Osama? Finding Osama in the Army Cantonment of Pakistan and not in the caves have disturbed many people around the world including Pakistan. If Pakistani Army and ISI was not involved, then it was a big blow to their capabilities which is claimed by them to be the most superior in South Asia. ISI has done many successful missions in the past and is considered more evolved and aggressive than RAW. Army and ISI is one thing in Pakistan on which people have proud. But this new finding has given a shock to the people of Pakistan. Recently the government of Pakistan in an interview told that it was the intelligence failure of the whole world who couldn’t find Osama, he appealed The world community instead of helping Pakistan is now blaming it for keeping the world’s most wanted man shielded. 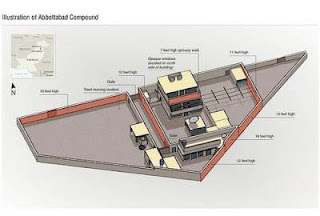 The government showed how it was worried when they found that Osama was actually hiding in the home of their Army and were thankful that Osama didn’t do anything to them otherwise things would have got much complicated. Osama bin Laden was killed in Abbottabad, Pakistan. ISI and Army is smart enough to come out of this embarrassment. Real blow this news has given to those in Pakistan who were trying hard to recover its image and improvise the situation. While it has lost the trust of many nations, Pakistan might see a huge political change in their system. The way international community is behaving is actually pressurizing the leaders too much who are willing to improve the conditions in Pakistan. While in India, opposition is pressurizing the Indian government to cut-off all the ties with Pakistan, it is unlikely that the government will do so, as it finds a perfect environment to talk to Pakistan, as it needs India too. As the world is branding Pakistan as a terrorist sanctuary, Pakistan can make them shut their mouth by taking action against the perpetrators of 26/11 Mumbai attacks and handing over the masterminds, operators and Dawood Ibrahim to India. The time when Pakistan is unlikely to receive any further economic aid from the western nation, it is the high time that India, Pakistan and China should now start a better trading and investment business. Pakistan should exploit the advantage of similar people which they have in India as them, their products, their arts, their music will be rejoiced in India much more than in China.